Our area, Corinthia, is well-known for its wineries. Nemea, the birthplace of the famous “agiorgitiko” variety is grown here and excellent wines are made from it. But in the summer, truth be said, one craves a cold beer. 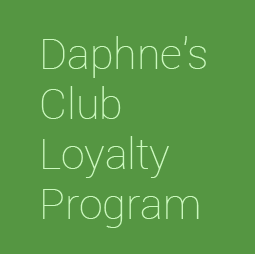 At Daphne’s Club it is important for us to introduce our guests to local experiences and products, so we were enthusiastic when we discovered that a brand new brewery was born in Corinth, Canal Dive. 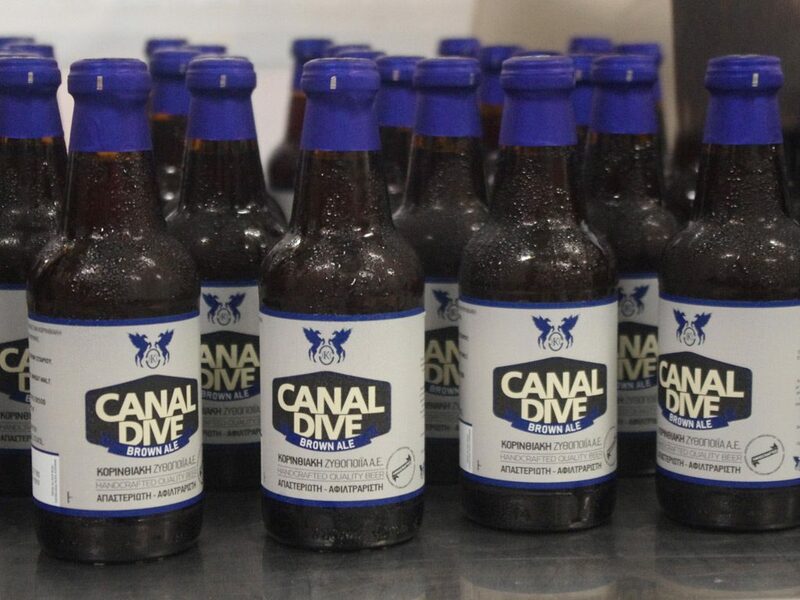 In addition to the fact that the brewery was new and that it was local, the beer they produce is hand-crafted, fresh (unpasteurised) and very tasty. 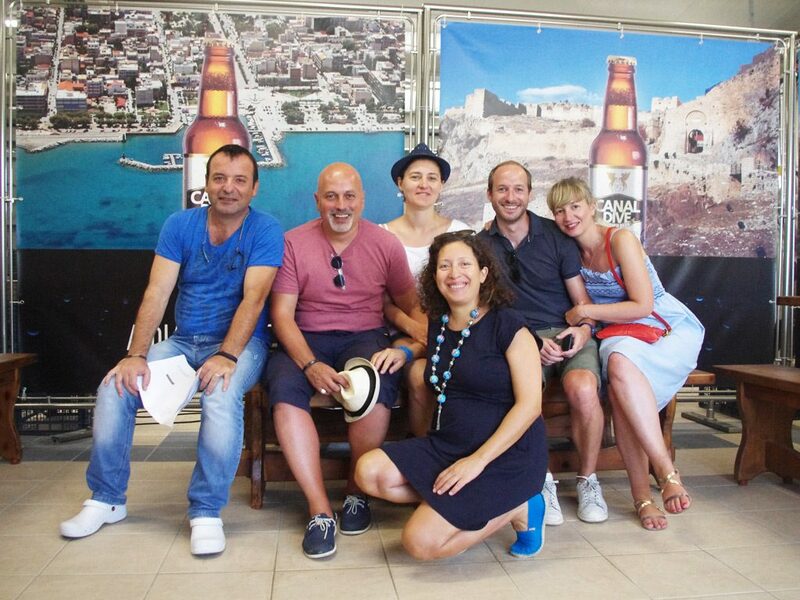 Babis & Co chose a good strategy: they introduced their beer to the area’s hotel’s, where owners often strive to create a local experience for their guests and where low prices for the maximisation of profit are not always the main driver for choosing a product brand. Another sales innovation is the selling and delivery of beers directly to homes. A nice idea if you have a party and want to surprise your guests! 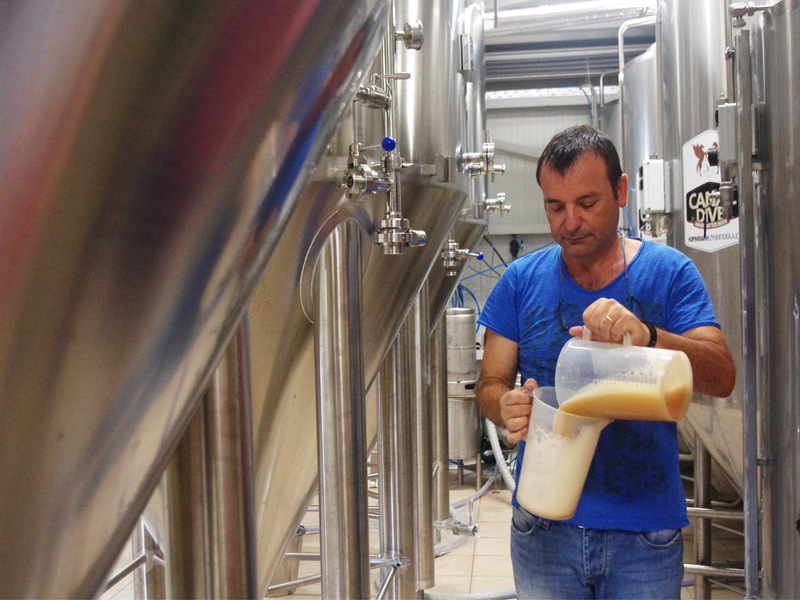 Although I was quite pregnant at the time of the visit, I did not resist trying a few sips of the fermenting beer directly from the tank! Thus, we all left Canal Dive very merry and went off to a nearby taverna, to eat and check if they had our by-now favorite beer. They did!